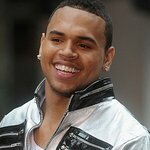 Chris Brown has announced he will be donating some of the profits from his new album to charity. The singer has revealed he plans to donate $1 from the sale of every copy of his new album, Royalty, to the Children's Miracle Network Hospitals. Royalty is set for release on December 18.